How do Nobel laureates spend their prize money? Nobel laureates sometimes display as much ingenuity when deciding how to spend their prize money as they did on the work that won them the award in the first place. When Sir Paul Nurse won the Nobel Prize for Medicine in 2001, he decided to upgrade his motorbike. A fellow winner in 1993, Richard Roberts, installed a croquet lawn in front of his house. Austrian author Elfriede Jelinek, who won in 2004, said the prize meant "financial independence." This year's awards get under way on Monday, starting with the medicine prize and wrapping up a week later with the economics prize. Once the frenzied media attention, formal appearances and ceremonies are over, this year's Nobel laureates will also have to decide how to spend the eight million kronor ($1.25 million, 925,000 euros) prize money. And judging from past experience, anything can happen. Sometimes they donate it to charity or scientific research, but that is by no means universal. Lars Heikensten, executive director of the Nobel Foundation, said there were no obvious shopping trends among laureates. "I think it depends a lot on which country they come from, their personal finances... what kind of incomes they have when they get the prize, and where they are in life," he said. However real estate is a popular option, at least among those willing to reveal what they spend the money on. Over a million dollars sounds like a lot but it is often shared between several winners, diluting their Nobel spending power. Wolfgang Ketterle at the Massachusetts Institute of Technology, who shared the 2001 physics prize with two colleagues, put his share towards a house and his children's education. "Since half goes to taxes in the US, there was nothing (more) left," he said. Phillip Sharp, the American co-winner of the 1993 medicine prize, decided to splash out on a 100-year-old Federal style house. "I took that money and bought a little bit bigger house... It's a beautiful old place," he told AFP, adding that "the money is a nice part of the process" but "the important thing about the prize is the recognition." Deciding how to spend their money can take some time as new laureates are inundated with offers to attend meetings, lectures and inaugurations during their first year. "I've not managed to think about the prize money. There have been great demands on my time," said Serge Haroche, joint winner of the 2012 physics prize, although he said he would probably look into real estate. For winners of the peace prize the decision is often more clear-cut, as the honour tends to go to politicians, organisations and activists who are under more public scrutiny. Many, like US President Barack Obama in 2009 and the European Union in 2012, donate to charities. Others support pet projects: the 2008 winner, former Finnish president Martti Ahtisaari, said he would finance a conflict resolution group he had set up. 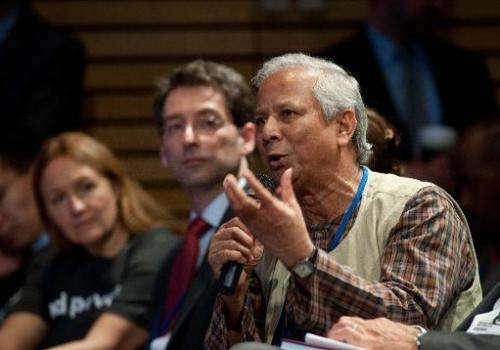 Bangladeshi economist Muhammad Yunus, who founded the Grameen Bank—which gives loans to lift people out of poverty—said he would fund an eye hospital and a business making affordable food for the poor with his 2006 prize money. But there has been one notable exception to the charitable giving. US President Woodrow Wilson won the prize in 1920 but left it in a Swedish bank to earn interest, apparently because he was concerned about life after retirement in an age when former presidents got no government pension, according to one biography. Literature laureates tend to be more private about how they use the money but the choice is often equally straightforward. 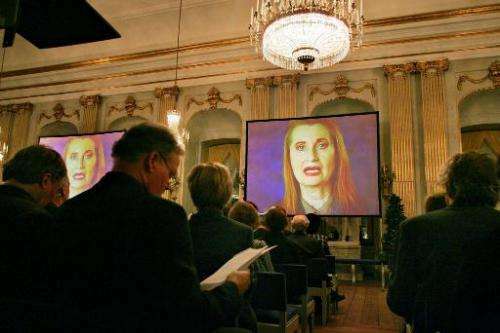 "Even if Nobel-winning authors are quite well known many of them will not have made much money from writing," said Anna Gunder, a Nobel literature expert at Uppsala University. While the prize might keep the wolf from the door for some years, giving them freedom to write, it can also briefly have the opposite effect. "It really changes their careers... During the first year after they've won they often write less but they generally continue after a year or two," said Gunder. The Nobel prize sum has fluctuated over the years, most recently in 2012 when it was reduced following the financial crisis. "We chose last year to act pre-emptively and take down the prize money and our expenditure by 20 percent," said Heikensten. "Since we're in this 'forever' we had to act in good time." There are no plans to increase the prize money again in the near future but few are likely to complain when they get that Nobel phone call. 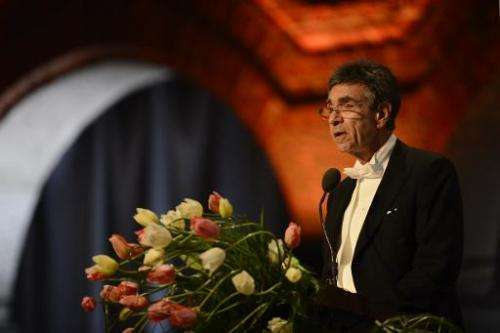 "I don't think the prize money is the real issue," said physics laureate Haroche. "I think the prize would be just as prestigious without it."